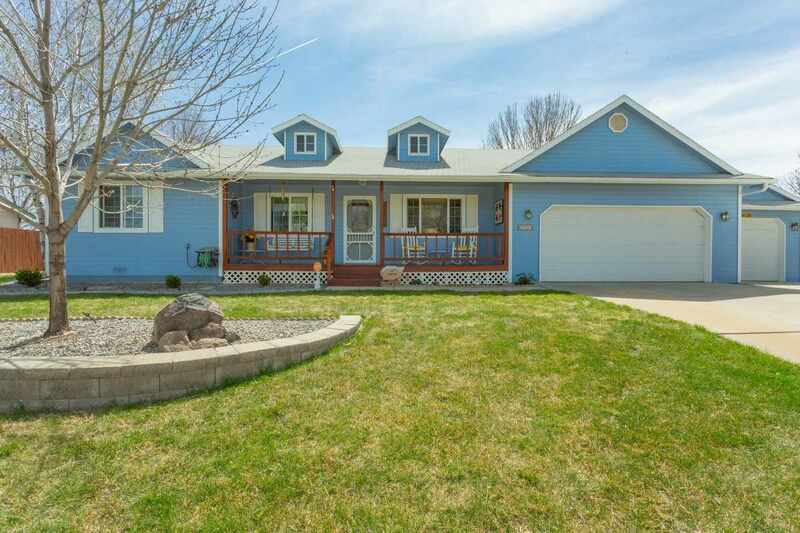 Well cared for home on .25 acre lot backing to the Chipeta Golf Course. Many updates over the last 10 years including new windows, cooler, closet organizers, all appliances ( washer & dryer also) are included, countertops, covered patio, under counter lighting, upgraded insulation, and a new irrigation pump. 2 x 6 exterior wall framing, oak trim and base with wood doors, parquet (real wood) floors in kitchen and dining area, and a 10 x 14 sunroom on the south side of the home. Nearly 1,000 square foot 3 car garage includes a dream wood working shop. Shop has a dust containment system, its own 150 amp electrical panel, and a gas heater. Metal carport has 110 elec. and can stay, or be removed.